Dr. Joy is the Medical Director for Community Health, Health Promotion and Wellness, and Food & Nutrition at Intermountain Healthcare in Salt Lake City. In addition, Dr. Joy practices Family Medicine and Sports Medicine at the Salt Lake Clinic LiVe Well Center. She is an Adjunct Professor at the University of Utah in the Department of Family and Preventive Medicine. She completed a Family Medicine Residency and Primary Care Sports Medicine Fellowship at Hennepin County Medical Center in Minneapolis, Minnesota. She completed her Master’s Degree in Public Health at the University of Utah. Dr. Joy served as President for the American College of Sports Medicine (ACSM) (2016-17), and previously held 2 terms of office on the Board of Trustees for the American Medical Society for Sports Medicine. She is on the Editorial Board for The Clinical Journal of Sports Medicine, and is Associate Editor for Current Sports Medicine Reports. She serves on the Exercise Is Medicine Steering Committee for the ACSM, and chairs the Healthcare Workgroup for the National Physical Activity Plan. 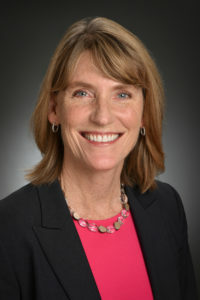 She developed and directed the Primary Care Sports Medicine Fellowship Program at the University of Utah from 1998 until 2010. She has authored many journal articles and textbook chapters on a wide variety of topics in sports and exercise medicine. Her research and advocacy interests lie in the areas of physical activity assessment and promotion, the Female Athlete Triad, sports injury prevention, and diabetes prevention.